He we demonstrate how you can clear out a Drupal directory generated by Dev Desktop so you can follow along with the cross-platform videos on BuildAModule. If you wanted to use Dev Desktop to manage a different application or to create an empty root, or to create an empty web root where you can follow along with the videos that don't require Drupal, you can simply go to the code base and either delete or move these files somewhere else. So I'm going to create a new folder called Drupal, and I'm going to move everything into it. And now let's say we create a new file called index dot HTML. To follow along with the videos on BuildAModule, you will need a web environment set up. For most of the collections you will also need a Drupal site to work with. 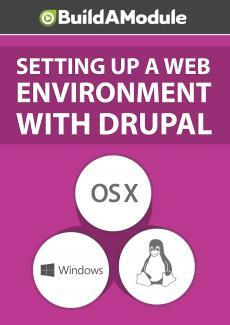 In this series, we demonstrate how to create a web environment with Drupal on Windows, Mac and Linux.